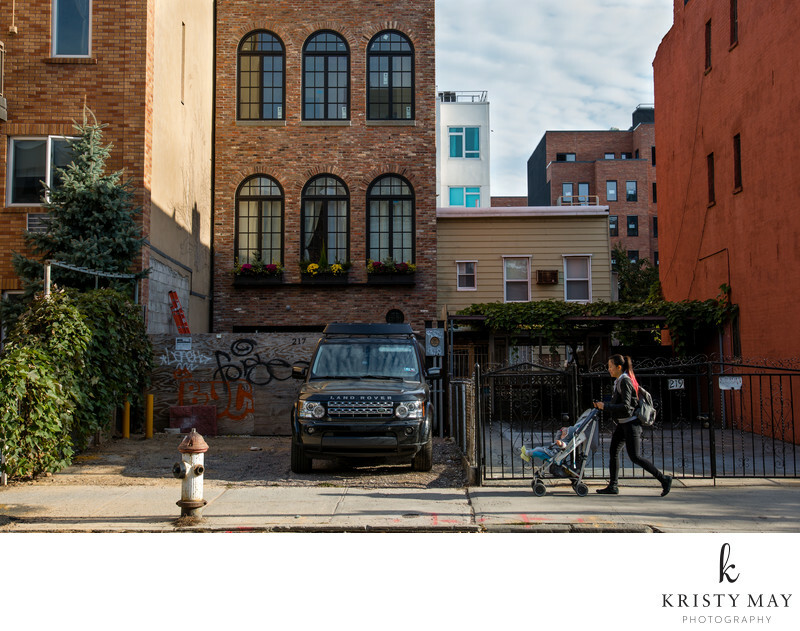 A woman with a stroller passes a newly built home at 217 N 7th Street in Williamsburg, Brooklyn in 2015. The site formerly housed a small building similar to the one next-door at 219 N 7th Street. Location: 217-219 N 7th St Brooklyn, NY .